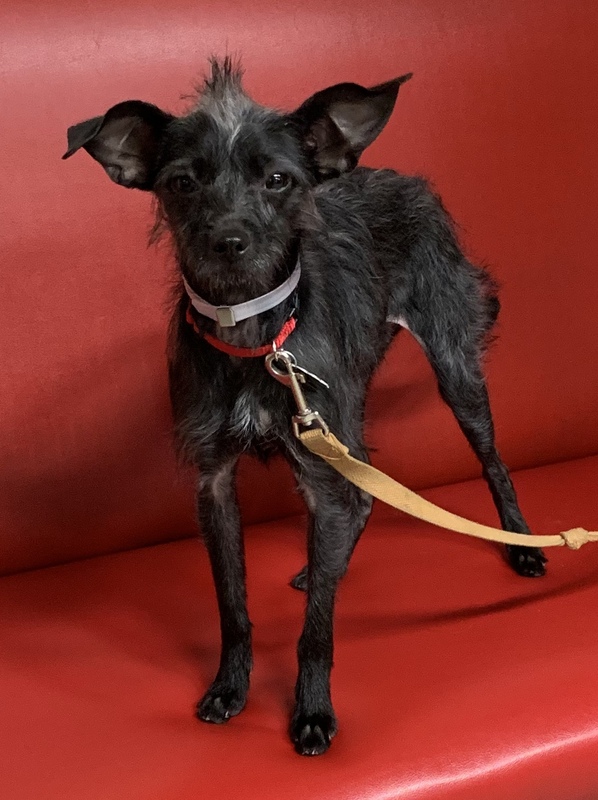 10 months Black with white highlights Terrier/Chihuahua mix Pepper cannot understand why she was dumped at the shelter. She did absolutely nothing wrong....but require the love and attention all pups deserve. Her former family, however, just couldn’t find the time to care for this little lady. Sometimes, we have to wonder why people get dogs in the first place... 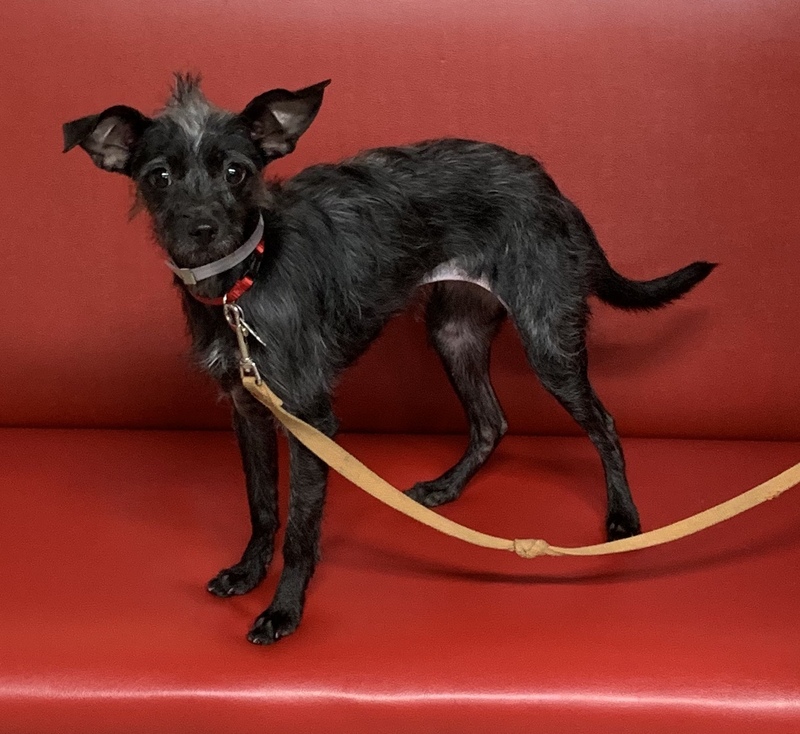 Anyway, their loss will be someone else’s gain, for Pepper has a very sweet disposition and, I must say, the coolest natural mohawk we’ve ever seen. She is a gentle and kind soul. Still a bit subdued from her ordeal, however, she’ll soon be the happy dog we know she is with some love and attention. Already, we’ve noticed some tentative tail-wagging! 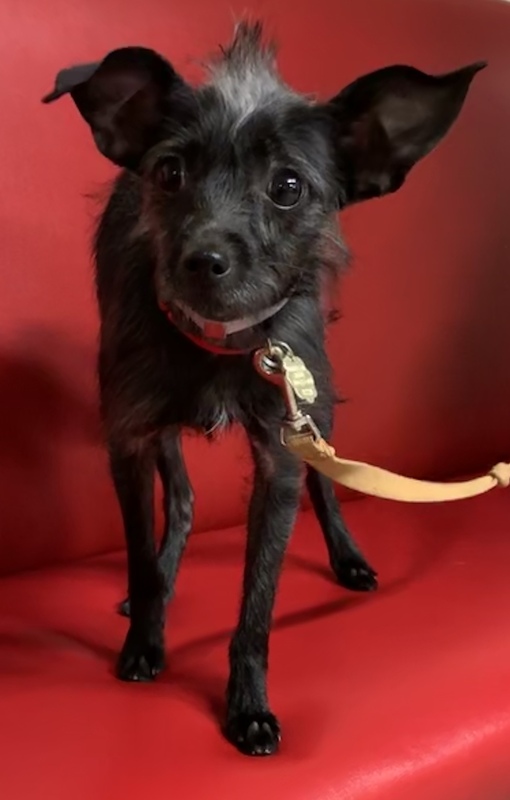 At 8.9 pounds, she is just a wisp of a pup, with long legs and whimsical ears. She is spayed, microchipped, and current on all vaccines. More importantly, she’s waiting for her truly forever family!